Traditional vs Alternative Cancer Treatments: What is the Difference? The Holistic Bio Spa in Puerto Vallarta, Mexico is now offering non-toxic, aggressive, natural, potentially curative treatments for cancer. This article will explain the difference between traditional and alternative treatments for cancer. The main treatment plan for patients with cancer today is surgery, which can help some patients. Chemotherapy only increases the five-year survival rate by 2.1% for almost all cancers. It does have success rates for some leukemias, lymphomas and some forms of testicular cancer. Immunotherapy is a high-profit treatment that doesn’t address the cause of cancer and has very limited success in curing cancer. Radiation therapy can be a benefit when the tumor is compromising a vital organ or structure, and get help eradicate some skin cancers. None of the above therapies address the cause of cancer, and patients will usually die from their cancer, some of them suffering terribly, and even dying from their toxic treatments. Chemotherapy only increases the five year survival rate by 2.1% for almost all cancers but drastically reduces quality and comfort of life. 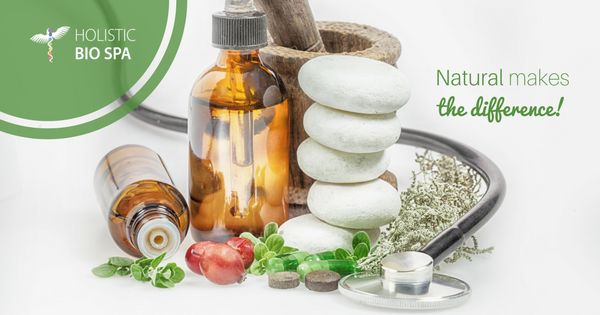 Alternative treatments for cancer make the difference! Most alternative treatments for cancer are what we call “helper” treatments. These will extend life, some much more than chemotherapy and radiation therapy. They are not, however, curative. They extend life rather than providing long-term survival. No one can guarantee a cure for someone’s cancer. At the Holistic Bio Spa, we offer “curative” and “helper” treatments for all cancers. We are the only cancer center in the world that has over eight potentially curative for. We have a special fast and diet that starves cancer. We offer ozone major autohemotherapy. We have been doing intravenous vitamin C for over 25 years. Dr. Beard discovered a cure for cancer over 100 years ago using pancreatic enzymes. We use his protocol on all cancer patients. Special Fast to starve cancer. Dr. Jan Kwasniewski’s ketogenic diet. Rectal, IV and Major Ozone Autohemotherapy. Rectal THC and CBD cannabis oils. Selenium, lipoic acid, EDTA and DMPS chelation, etc. Our staff is very experienced, knowledgeable, and very courteous. They are all bilingual and can help you get accommodations, and recommend sites and events to see in Puerto Vallarta. Are you ready to improve your health? Call us to make your appointment? +52 (322) 221 1607 and take care of yourself with the best natural and holistic methods. Not currently living in Puerto Vallarta? Share this article with a friend. Come and enjoy a beautiful, relaxing vacation while you heal and renew yourself! If you at one point hesitated to get treated for cancer with alternative methods, schedule a consultation with our physician Jake Ames, MD, HMD to visualize the results possible with this holistic non-invasive treatment.